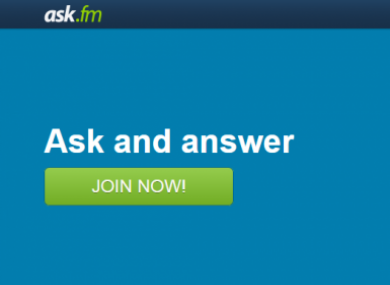 ASK.FM IS ON the move to Ireland. The controversial website has been linked with a number of teenage suicides amid claims of cyberbullying. Jonathan Pugsley, whose daughter Ciara took her own life, has spoken of his anger over the news about the move. Meanwhile, Minister Charlie Flanagan said he wants the issue discussed by Government. Ask.fm said it has updated its safety policies in the wake of cyberbullying reports, and the Financial Times reports that the company will appoint a “law enforcement affairs officer” based in Ireland. We want to know: Do you object to Ask.fm’s move to Ireland? Email “Poll: Do you object to Ask.fm's move to Ireland?”. Feedback on “Poll: Do you object to Ask.fm's move to Ireland?”.